To request the participation of Dolores Huerta, or another person affiliated with the Dolores Huerta Foundation, at an event please use the following link to complete the Dolores Huerta / DHF Event Participation Request Form. 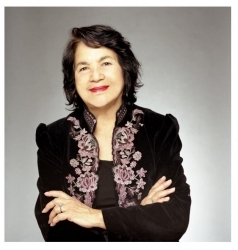 For media requests for Dolores Huerta and/or others affiliated with the Dolores Huerta Foundation please complete the DHF Media Interview Request Form. To support the work of the Dolores Huerta Foundation go to Give2DHF.org. To contact us via email, please complete the form below. Thank you for your interest and support!